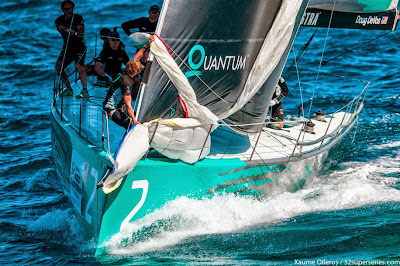 ISTiOSELIDA - Sailing ONLY: Rán Racing are the new TP52 Champions! Rán Racing are the new TP52 Champions! 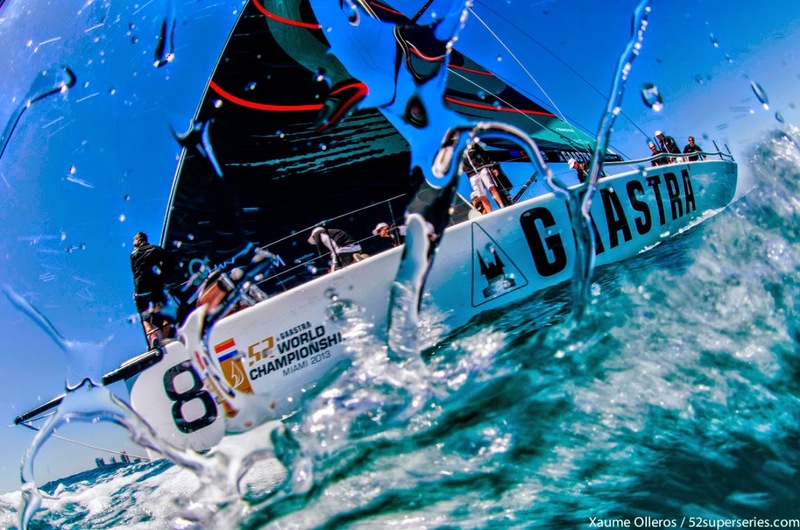 Niklas Zennström and the Rán Racing team secured the Gaastra 52 World Championship title on the final run of the last race of the series after a thrilling showdown off Miami’s South Beach up against 52 SUPER SERIES champions and former world champions Azzurra. 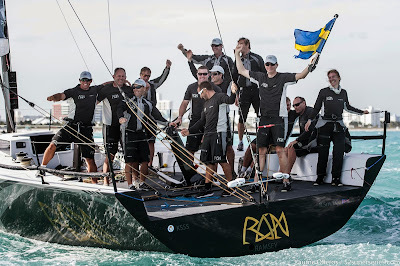 Although Rán Racing started the three race finale with a lead of four points and increased that to six points after they placed second in the first contest of the day with Azzurra fourth, Zennström’s team then had what he later described as a ‘shocker’. 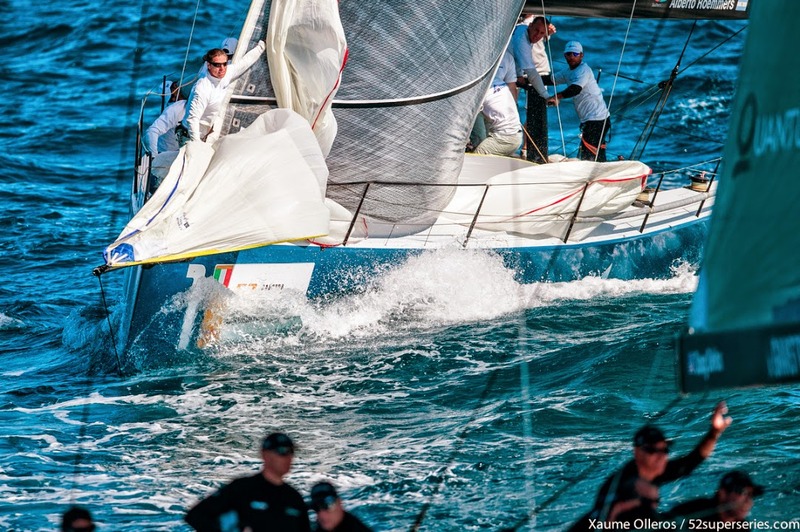 Azzurra retained control of Rán around the course but Zennström’s crew kept pushing and, in sixth and seventh place at the final top mark, the team which has lead the championship for longest were in a position to pounce. 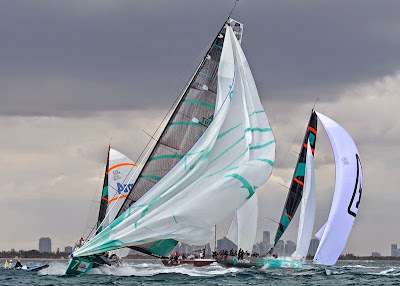 As a small gust hit Azzurra appeared to broach and lose control allowing Rán to slide past only centimetres to windward. Reports as to what actually happened differ. Rán believe their rivals were trying to luff and force a penalty. Azzurra’s skipper Guillermo Parada later explained that it was a combination of small errors of timing which caused their costly broach. 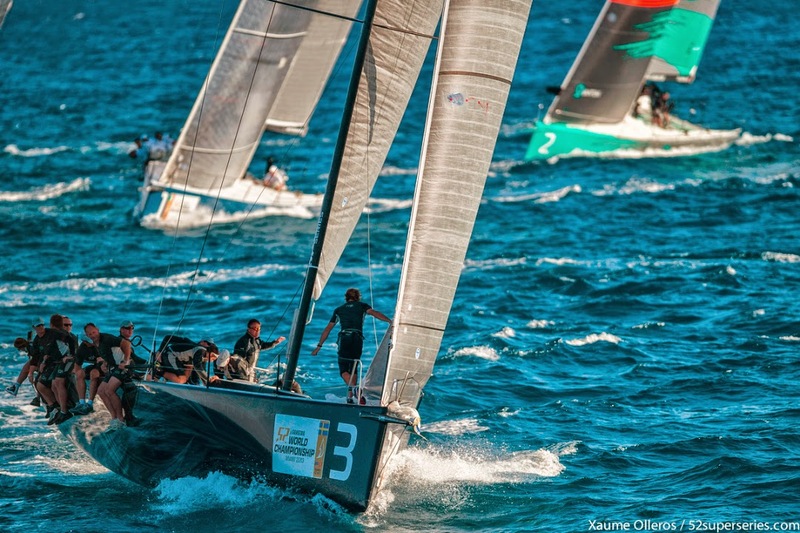 Rán Racing’s coolness paid off and they held on to cross the line just ahead of Azzurra to clinch the title by one single point. 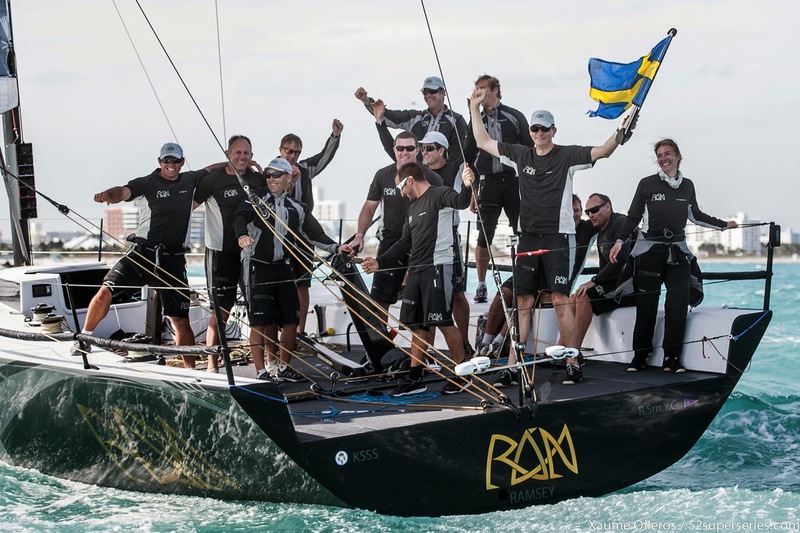 As was forecast at the beginning of the five day regatta, Miami dealt up a great range of different wind conditions and so Zennström and his team can be considered very worthy champions. 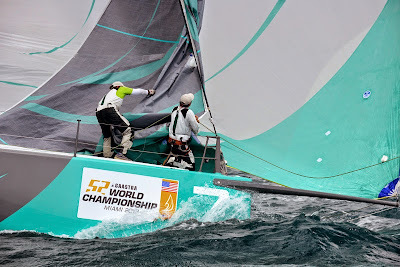 They become the third team in the history of the event to win the world title after Quantum Racing. The tall Swedish owner-driver admitted later it was ‘one of the most stressful days of my life’. Azzurra win the US 52 SUPER SERIES overall, the results aggregated between January’s Quantum Key West 2013 regatta and these Gaastra 52 World Championships where they finish runners-up. “It is fantastic. I am relieved after one of the most stressful days of my life I think. We went into the day with a six points lead but we knew that anything could happen. We started with a very good second place and gained a few more points. Then in the second race it was a shocker. It came down to the last race and whoever would win between. 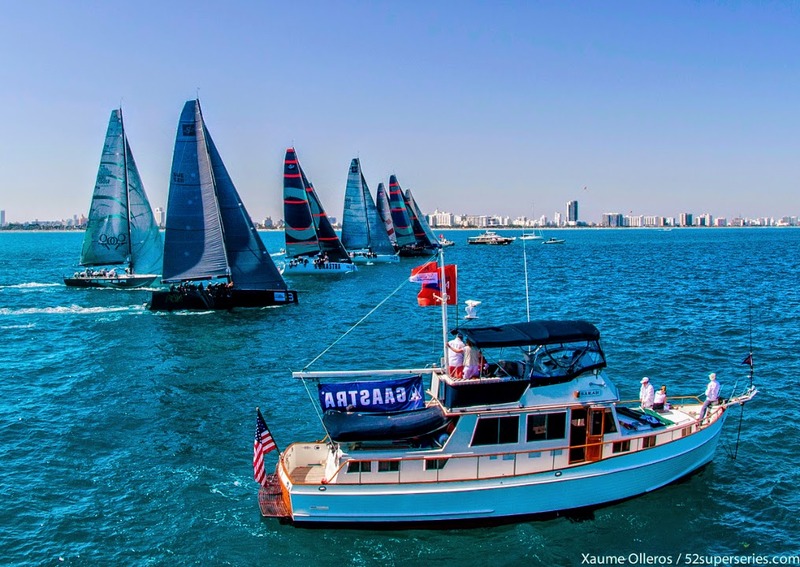 In the pre-start Azzurra had their match racing helmsman on the start and they took advantage of that and they did a bit of a match racing trick on us. We don’t do match racing on our boats. But we managed to stay close and in a position to attack. They tried to luff is and broached out and we could just sail past them. They tried to trick us and force a penalty situation but they broached. “We probably made it a little hard for ourselves today. That meant it was all square going into the last race and it was who beat who. We probably squandered our lead on the middle race when we missed out on the left shift and we did not really get back into the game. On the start of the last race Azzurra came looking for us and we tried to minimise the damage. We managed to close them down and were on their transom on the gate. They did not manage to put any distance on us on the beat so we were in contention down the run. We had a good set. The guys did an amazing Indian gybe set which put us in a strong position to roll them. They tried to luff and we kept clear and we sailed away. It was proper seat of the pants stuff. “It is sport. We would liked to have won but the final positions are what they are and are fair. Rán had a great week overall and are fair winners. We kept pushing as much as we could and got close. When you are not in your perfect week and you get into the fight for the title that is good. 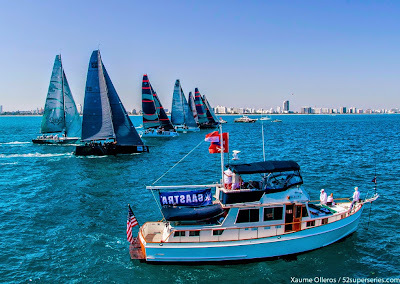 And we won the US 52 SUPER SERIES and are leading overall going to Europe. We have some homework to do but we are in good shape. It has not been an ideal week for us but we hung in there but congratulations to Rán, they sailed a great week and it was great fun. We called for the manoeuvre a little bit late. It was a gybe set on the offset as we were hoisting the kite. We were a little bit late rotating the spinnaker, getting the tack in position and the backstay on and so we had people off the rail. We did have the back stay fully on and the tack of the spinnaker was a little too high and we were hit by a gust and we were not ready and so we broached. We were very close to Rán but they were able to squeeze to windward of us by centimetres. The 52 SUPER SERIES is in great health with eight boats here with very tight racing, boats on equal points and everything decided on the last race, you cannot ask for more than that." “It was great to just see how close these great boats are. 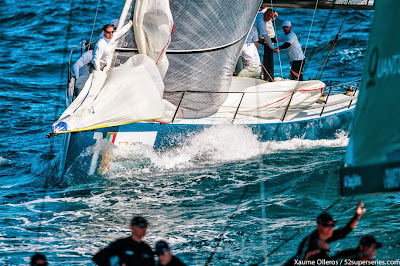 And to see two great crews like Azzurra and Rán Racing, when everything is on the line and it is a battle all the way around. There is nothing like having your best race when it means the most and so my hat is off to Rán Racing for the job they did. It was amazing. We are third for the event. We always look at the season and come out of the two Florida events 10 points off first. We are third overall and like where we are at. 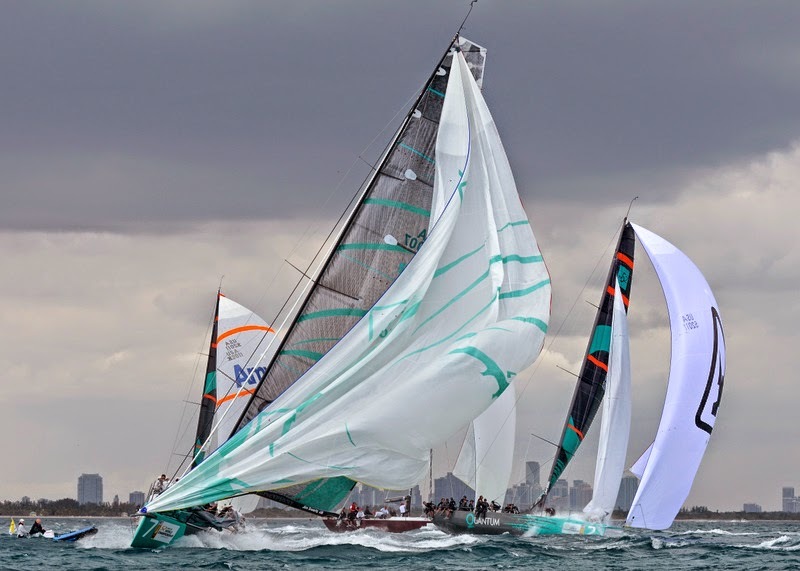 We would like to be leading but there are some things with the boat we are really excited about and are really looking forwards to the European legs of the 52 SUPER SERIES. A lot of it here was us not committing hard enough when we needed to. We thought we were going very well. But we probably took 60 % of the shifts when we needed 80%. And it is more difficult out there than people thought. And if you are going the wrong way more often than not, but when we went the right way we did well.